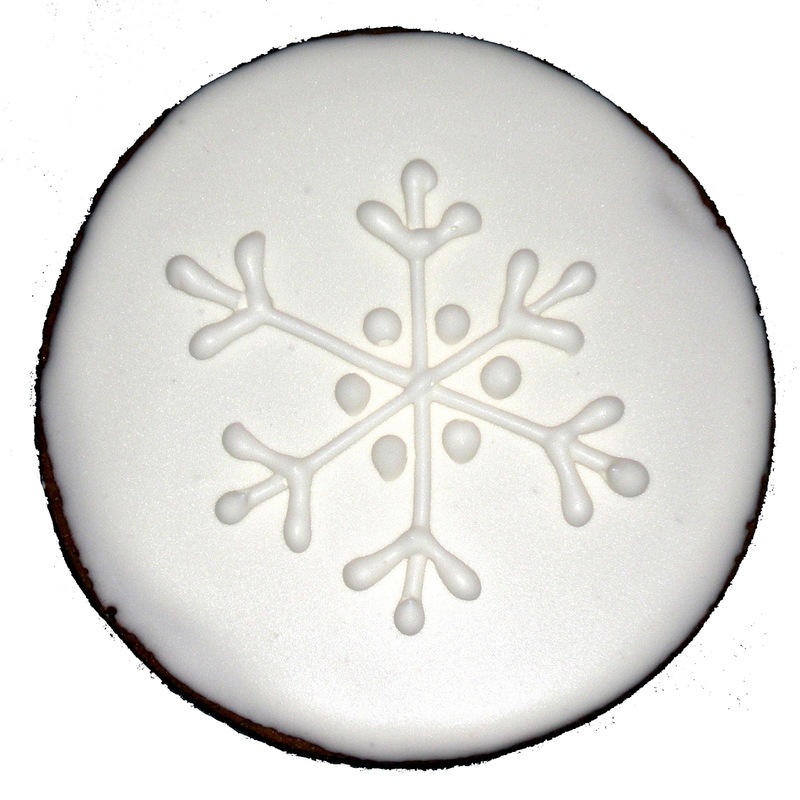 I like the look of piping in white accented with sanding sugar on a ginger cookie. 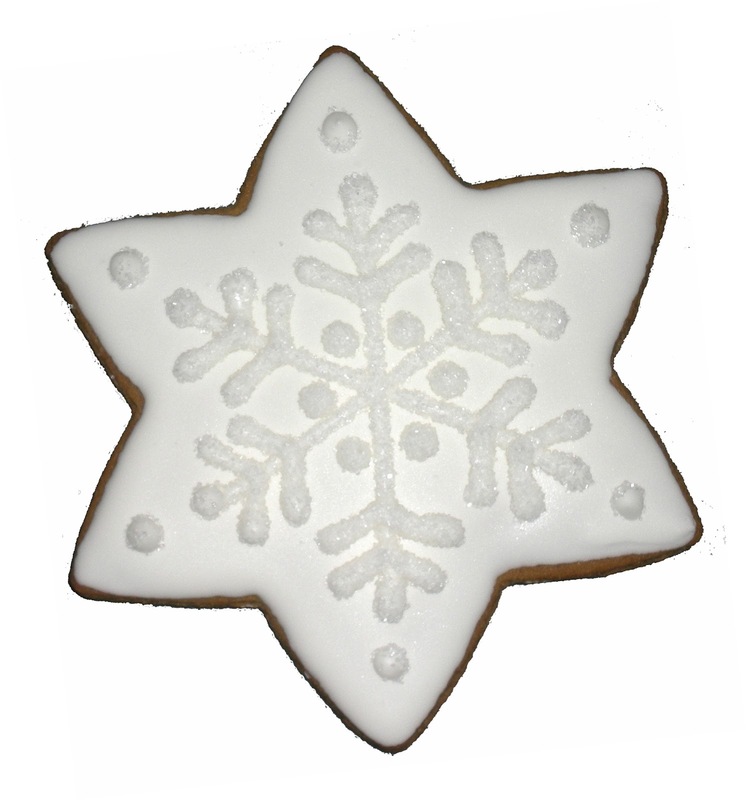 Even prettier is white on white. 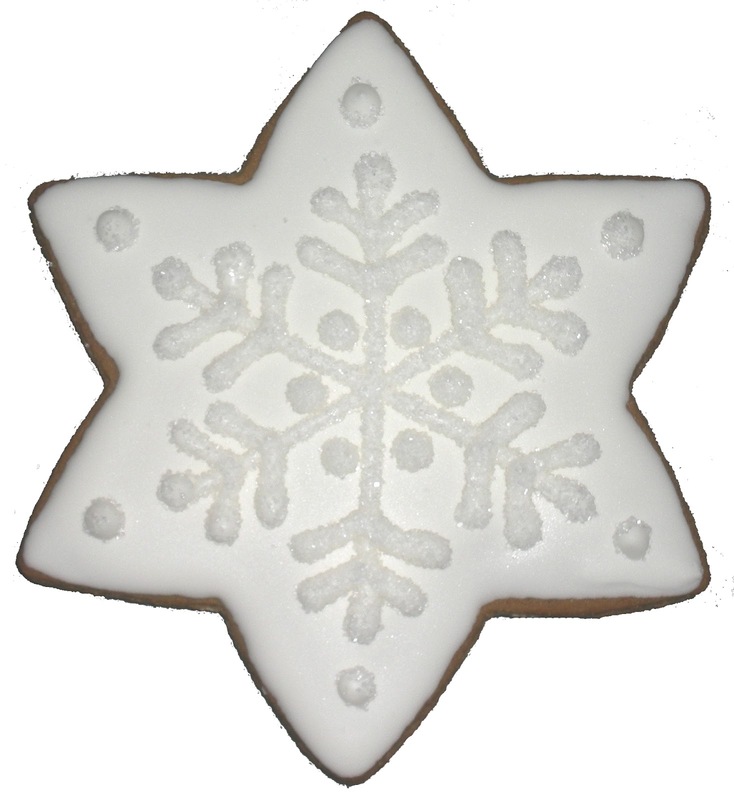 A six-sided star makes a nice snowflake if you don't have or (in my case) don't want to use a snowflake cutter. 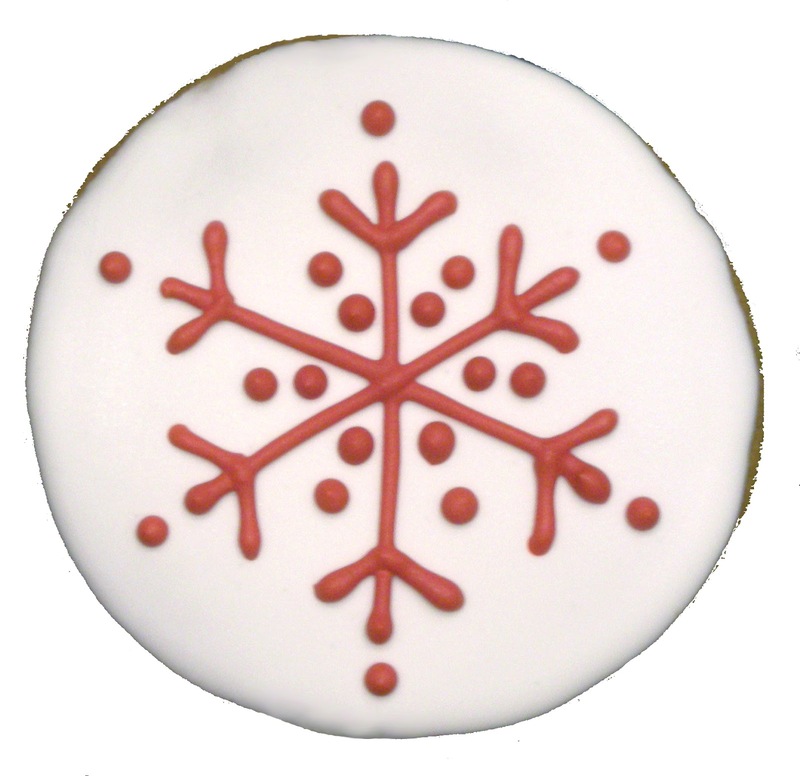 And cut out around the edges of big cookies are small bite-sized snowflakes. 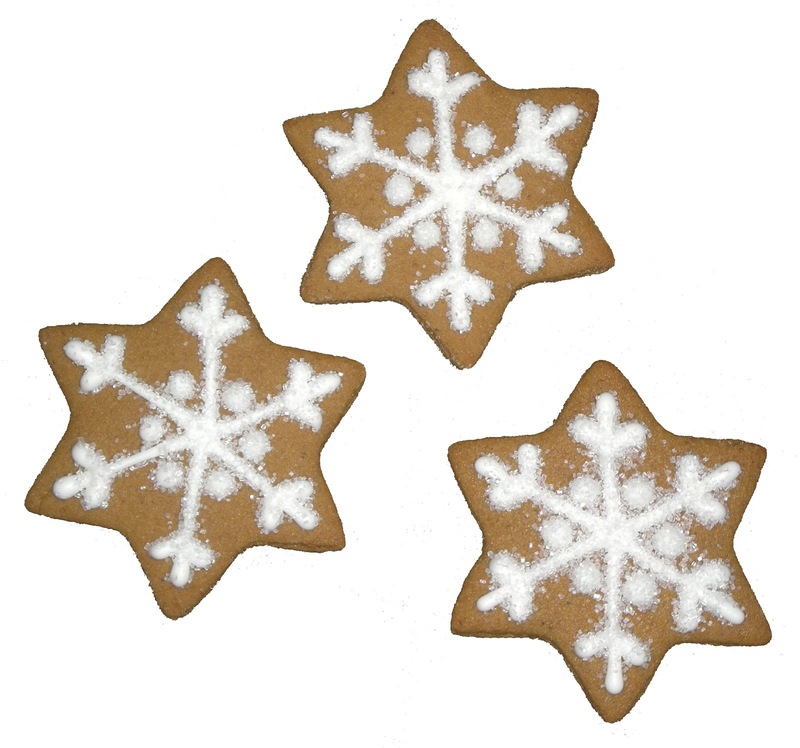 Be sure to bake cookies of the same size together so the little ones don't get too done while the bigger ones are taking longer. 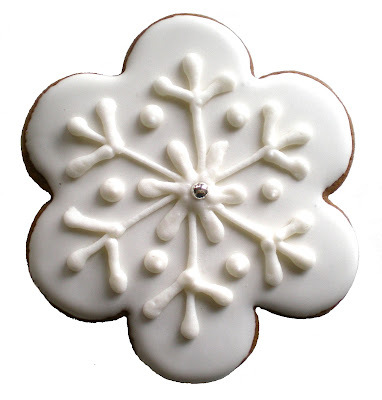 A six-sided scalloped cutter makes a pretty snowflake too. 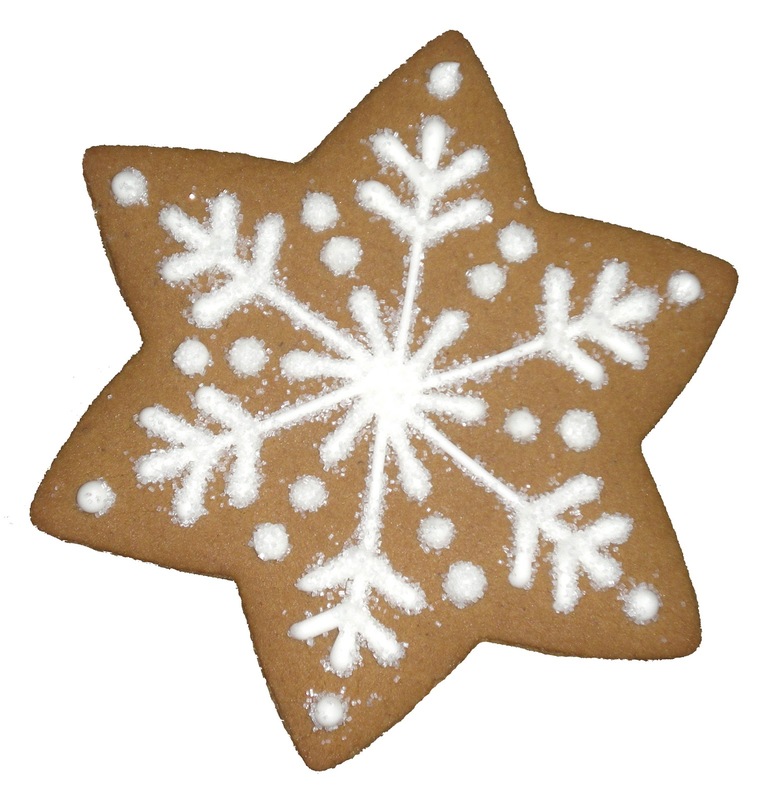 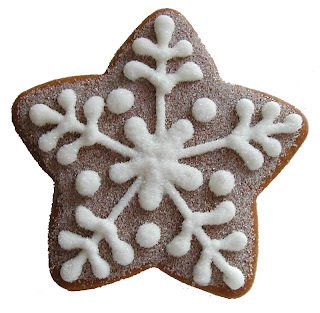 Or decorate fat stars in the same way - this one is sprinkled with granulated sugar which stuck to the ginger cookie as well as the icing giving a frosty effect.